Toby Maclaurin at Ocean Independence tells me that his central listing, the 30.75m motor yacht New Life, has a €200,000 price reduction. Built by Falcon Yachts in 2001, her sleeping quarters are on the lower deck, comprising two doubles and two twins, all with en-suite bathrooms. Each twin has a Pullman berth, offering accommodation for 10 guests if required and there are three cabins for five crew. 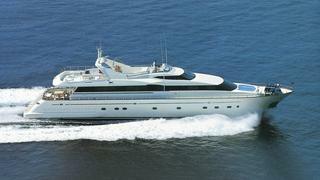 New Life is RINA classed and MCA compliant and now asking €1.645 million.